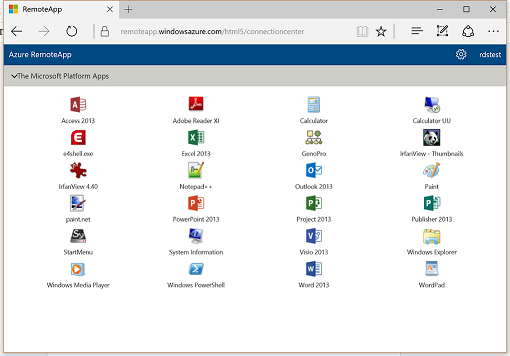 The Microsoft Platform: HTML5 for Azure RemoteApp available in public preview! HTML5 for Azure RemoteApp available in public preview! On November 23rd the HTML5 client for Azure RemoteApp was officially announced and placed on the public road map. A week later Microsoft publically demonstrated the HTML5 at Ignite Australia. Shortly after, I published a blog post showing First glimpse at the Azure RemoteApp HTML5 client! 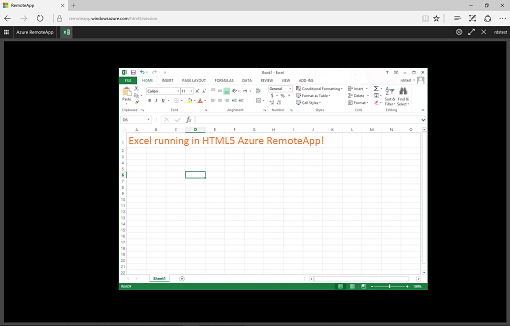 Today, HTML5 for Azure RemoteApp is available in Preview! This means you can now try HTML5 in your existing Azure RemoteApp collection! This blog post described my first experience with HTML5. 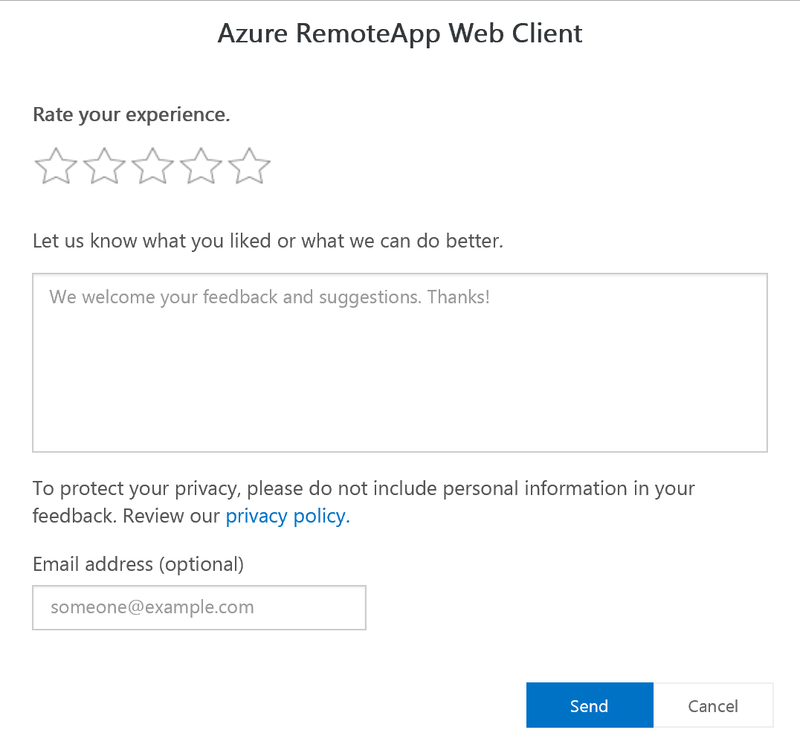 You will now be presented with the HTML5 portal which will show the applications that are assigned to your user based on the Azure RemoteApp collection membership. The upper right corner will show the logged on user with the ability to perform a sign out. The other icon on the upper right can be used to rate your experience and send in additional feedback. Similar to a Hybrid Collection (Domain Joined Collection), there is no Full Single Sign On yet. This means that after launching the 1st RemoteApp, you will be prompted to provide credentials again. After providing credentials you will the logon process finish. This same process can also be viewed when using the Azure RemoteApp installed client by pressing Details during the application launch. Shortly after that, below is what you will see. 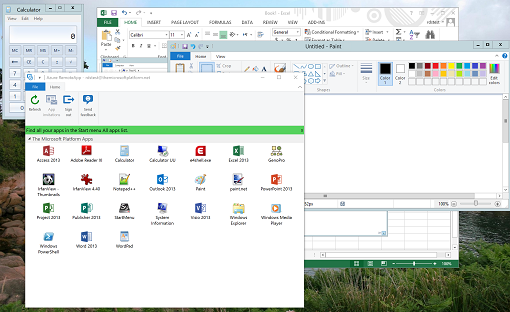 In this case I launched Microsoft Excel which now runs in my browser, based on HTML5! We can drag, resize the application within the black canvas. 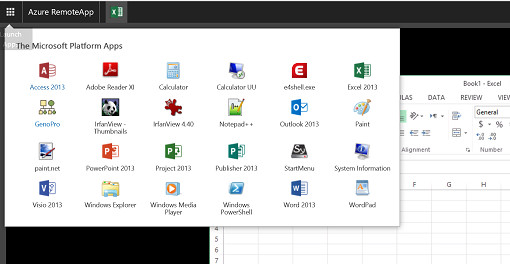 With Excel still opens, we can now click the Launch Apps button on the top left corner. This provides an application launcher which allows us to easily open additional applications. In the example below I can opened several applications by launching them from the Launch Apps button, they open almost instantly. 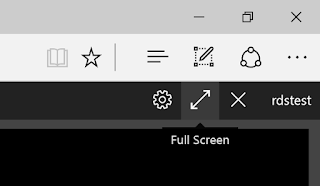 When running multiple applications, I can now also switch the active applications (switch focus) by using the icons on the top bar, similar the task bar of a local start menu. This allows for easy application switching. 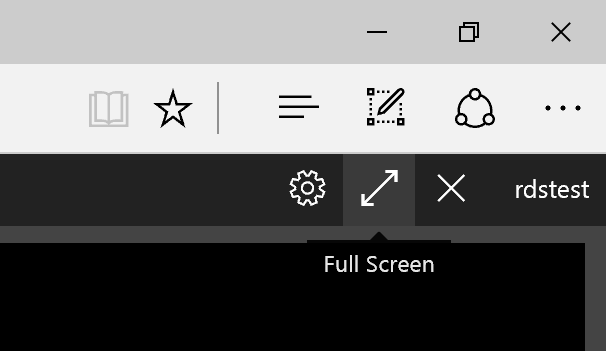 For an even better experience, toggle the Full Screen switch to run the HTML5 Azure RemoteApp environment in Full Screen. What's also great is you can easily disconnect from the environment by clicking the X symbol on the upper right corner. This will place the session in a disconnected state in the background with all the applications still running. By logging on again, even from a different device and different location you can reconnect to this disconnected session by opening an application. You will return in your HTML5 environment with all the applications you had running still opened. Obviously you need to reconnect within the configured maximum disconnect time, similar to using the installed Azure RemoteApp Client. In fact, you can also reconnect to a HTML5 session, using the installed client. Below is the result of reconnecting to the session above, using the installed Azure RemoteApp client. Personally I was pretty amazed by the smooth experience, especially since this is only the 1st preview. Obviously, the experience is not exactly the same compared to the installed client, this is true for any HTML5 client out there in the market. mooie samenvatting van deze interessante ontwikkeling op het gebied van Azure RemoteApp. The connection to the remote PC was lost. This might be because of a network connection problem. If this keeps happening, ask your admin or tech support for help. I've been trying to use this for the last week, and I keep getting "Username or Password incorrect". I can log into this account and see all my Azure RemoteApp collections. I know the credentials are correct, yet nothing. BTW, I'm doing this research for my University, as we already have an O365 rollout to over 70k users, and am actively looking getting some form of tile in O365 from ARA. And this looked like the best solution. I'm assuming you are either using Chrome or Edge? Because other browsers are currently not supported yet. Besides that, there are currently some issues with software decode and the HTML5 client which causes the error you describe on some client devices. Microsoft is working on a fix for that. HTML5 currently only works for Hybrid (domain joined) scenarios, HTML5 support for Cloud (non domain joined) will be added later. 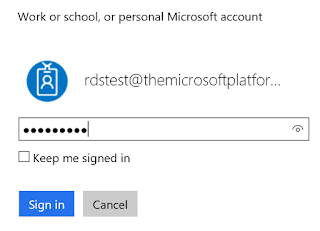 And you did confirm that you can successfully log on using the installed Azure RemoteApp client? And you are using a Hybrid (Domain Joined) collection? Feel free to send me an email at freek@rdsgurus.com if you need help! Is there any indication whether MS will make HTML5 available for RemoteApp in RDS shops that run this locally and not in Azure? I also would like to know the same - we would like to implement this on-premise. 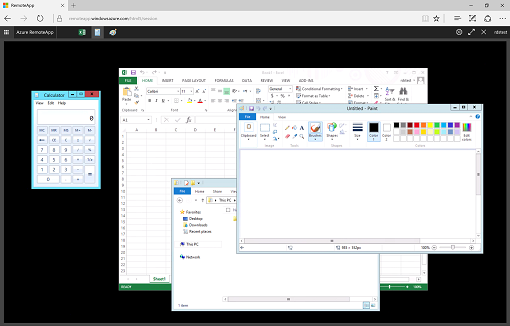 Try out Azure RemoteApp in 2016!